The series premieres on BET on February 5. 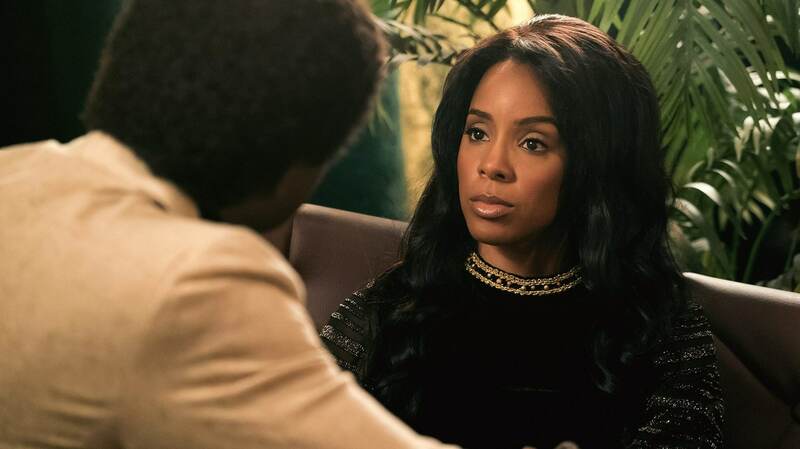 It’s almost time for BET’s highly-anticipated new series, American Soul to premiere on BET and we’ve got the first look of Kelly Rowland playing Gladys Knight. The series that premieres on February 5 features an all-star lineup of talented actors and musicians who will work together to tell the story of how Don Cornelius created the cultural phenomenon that is Soul Train. Set in the early 70’s, filled with music, dance, fashion and glamour, this is the untold story of the launch of the first nationally-syndicated Black music show and what happened when the music stopped. Battles with record labels for top talent, off-camera drama as young dancers vie for the spotlight, stand in the way of a 30-something Don Cornelius who is sacrificing all that he loves to follow his dream. The journeys of these characters collide in a racially charged LA with the odds stacked against them. All they have is each other and the magic of Soul Train. Aside from Kelly Rowland, singer and actress Michelle Williams will appear as the legendary Diana Ross; consummate entertainer Bobby Brown plays the over-the-top Rufus Thomas; Gabrielle Dennis portrays Tina Turner; McKinley Freeman plays Ike Turner; and singer and TV personality K. Michelle plays Martha Reeves. Sinqua Walls stars as Don Cornelius in the series that also features Kelly Price and Jelani Winston among others.